Marcus Allen is a former NFL running back who played for the Los Angeles Raiders from 1982 to 1992 and the Kansas City Chiefs from 1993 to 1997. After his professional football career as a player Allen had a career in broadcasting with CBS TV. Allen was the Heisman Trophy winner for 1981 plus Super Bowl champion and MVP for Super Bowl XVIII. He was also a six-time Pro Bowl selection for 1982, 1984 through 1987 and 1993 as well as the NFL rushing yards leader plus the NFL Most Valuable Player for 1985. 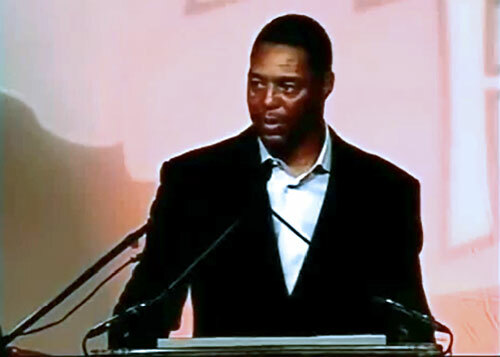 Marcus Allen was inducted into the College Football Hall of Fame in 2000 and the Pro Football Hall of Fame in 2003. Sports Speakers 360 is a booking agent for pro athletes. If you would like to book Marcus Allen for a speaking engagement, appearance or endorsement, contact a Marcus Allen booking agent for fees at 1.855.303.5450.